Observation - Coots fighting - UK and Ireland. Description: Coots quarrelling. They appeared to be trying to force each other under the water. Coots quarrelling. 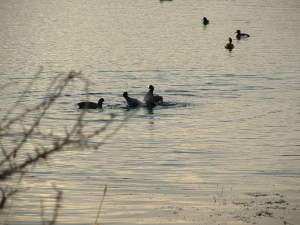 They appeared to be trying to force each other under the water.